The Oregon Folklife Network is proud to announce six new 2016 Traditional Arts Apprenticeship Program (TAAP) awardees! These extraordinary master traditional artists and culture keepers exhibit excellence in their abilities, and a passion to pass on their knowledge, skills, and expertise. TAAP provides a stipend to these master artists to teach a promising apprentice from their own community, Tribe, or cultural, religious, or occupational group. This year’s TAAP teams will be working a range of traditional skills, from traditional rawhide braiding to dentalium shell piecework to Tazhib. 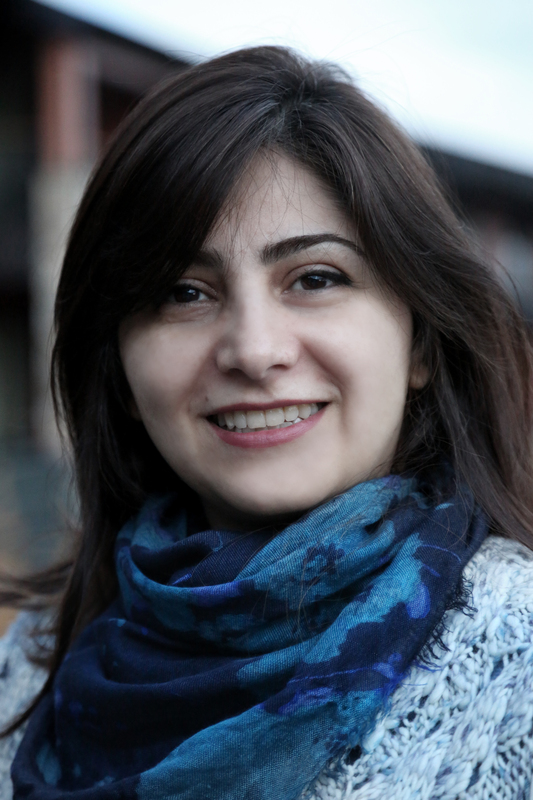 Marjan Anvari (Lake Oswego, OR) is a master of traditional Tazhib (gilding), Persian illumination patterns. She will be teaching her apprentice the finer points of this ancient cultural art, which involves adorning the margins of books with beautiful patterns of plants or geometrical shapes with gold as well as colors like azure, blue, green, vermilion, and turquoise. 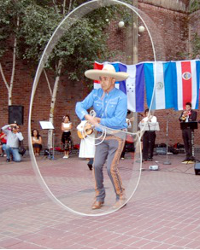 Jose Antonio Huerta (Springfield, OR) is a master of Mexican cowboy (charro) horseback rope work. This is his second TAAP award for which he will once again be teaching charrería (rope work and riding). 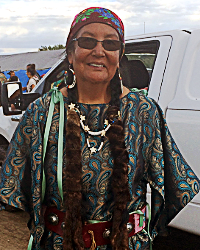 Roberta Kirk (Warm Springs, OR) is a master shell dress maker of the Confederated Tribes of the Warm Springs Reservation. For this second TAAP award, Kirk will be teaching her apprentice the specifics of dentalium (shell) piecework. Anita Menon (Portland, OR), founder of the Anjali School of Dance, and master of Bharatanatyam will be teaching Nattuvangam, the art of playing cymbals during Indian classical dance. 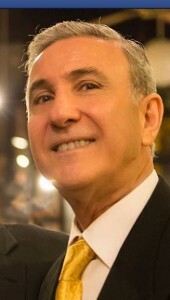 Hossein Salehi (Beaverton, OR), founder of the ArtMax Academy, is a master musician who plays the Santoor (trapezoid-shaped hammered dulcimer-like string musical instrument). Salehi will will be helping his apprentice to refine his musical skills. Want more updates from the OFN? Then be sure to follow us on social media! You can find us on Facebook, Twitter, and Instagram. We spent the summer with social media followers sharing our summer traditions – holiday celebrations, special places for ritual return, festival must-dos, and much more. 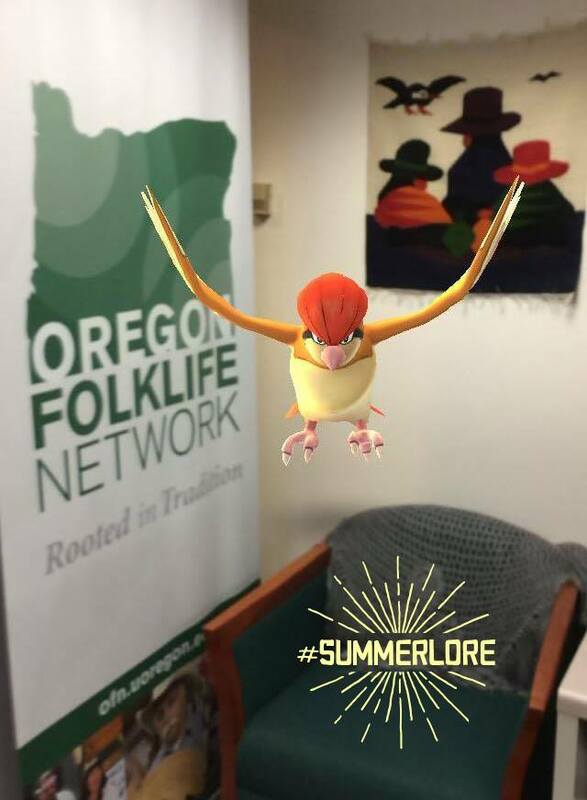 You can see any of these great posts by searching #summerlore! We’re planning for more fun social media campaigns in the future, so be sure to follow us today and be on the lookout! Join us in Eugene on the evening of November 16 and for the day on November 17 for the Oregon Migrations symposium, organized by the Oregon Historical Society, one of OFN’s operational partners, with Dr. Bob Bussel and Dr. Dan Tichenor of the University of Oregon. The program includes a wide range of scholars offering specific presentations in response to the broad theme of how inhabitants and newcomers have shaped Oregon and each other. It is completely free and open to the public! 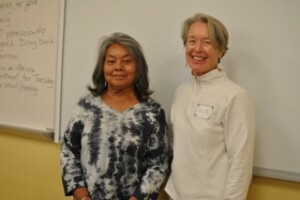 For a detailed schedule and location information, visit <http://ohs.org/events/oregon-migrations-day-2.cfm>. The Oregon Folklife Network partnered with the Confederated Tribes of Warm Springs’ Culture and Heritage Department and the Warm Springs K-8 Academy to run a pilot Folklife Field School for rising 8th graders in Warm Springs, Oregon. Anne Pryor was lead instructor with assistants Makaela Kroin and Emily Ridout of OFN, and collaborator Dana Smith of the CTWS Culture and Heritage Archives. During the first week, 11 students documented their family traditions and presented their findings to the Warm Springs community. The following week students visited the University of Oregon in Eugene, presented again to a campus community, and toured the university. Each student earned a UO Folklore undergraduate credit, starting them on their pathway to higher education. Their fieldwork and presentations will be deposited in the CTWS archives. Funding for this project has come from the Oregon Cultural Trust and the UO Division of Equity and Inclusion along with generous in-kind donations from the CTWS K-8 Academy, UO Duck Store, Kah-Nee-Ta Resort, and the UO Many Nations Longhouse. 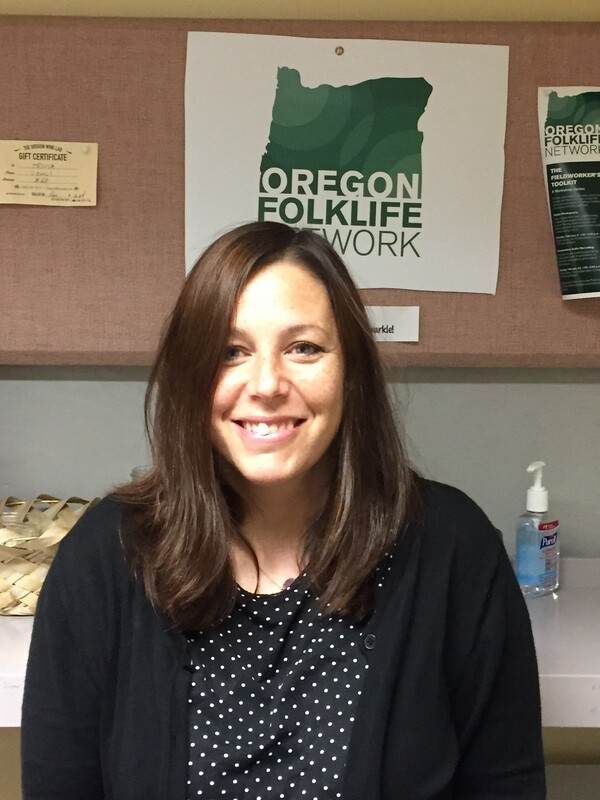 Makaela Kroin, OFN’s Program Coordinator, will be documenting OFN’s Traditional Arts Apprenticeships, curating an exhibit on music in the Columbia River Gorge, and co-coordinating our summer 2017 Folklife Fieldschool. Kroin is also serving as OFN’s emerging folklorist in the NEA-funded folklife survey of the Portland Metro counties, where she’ll be working alongside veteran folklorists Nancy Nusz and Douglas Manger. 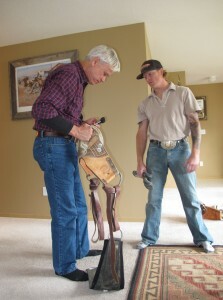 Besides working on the folklife survey, Kroin will continue to document OFN’s master artists for the Traditional Arts. Kroin has a Bachelor’s Degree in Portuguese & Brazilian Studies from Smith College, a Master’s Degree in Information and Communication Science from Ball State University, and a Master’s Degree in Public Folklore from the University of Oregon. 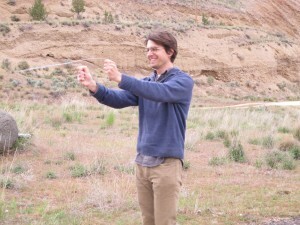 Kroin served as OFN’s Summer Folklore Fellow, co-coordinated OFN’s collaborative Folklife Fieldschool (read more above), and conducted videographic documentation of several master artists. Alina Mansfield is OFN’s new Graduate Student Assistant, who will be working alongside Brad McMullen, who will be completing a second year as an OFN GSA. Mansfield is a second year Master’s student in Folklore. She graduated from UC Berkeley, where she designed her own Folklore and Mythology major. A contributor to the Encyclopedia of Women’s Folklore and Folklife, Mansfield is currently researching Mardi Gras traditions in Mobile, Alabama and Biloxi, Mississippi. 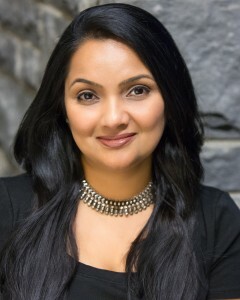 She is an avid collector of supernatural memorates and is fascinated by contemporary legends, the occurrence of traditional tale types and motifs in television, the folklore of dreaming, and divination practices. Good-bye Vanessa… We also extend our profound thanks to Vanessa Cutz, who volunteered at the OFN over the summer. Vanessa graduated with her masters in Folklore from the University of Oregon in 2016. We appreciate all your great work Vanessa! 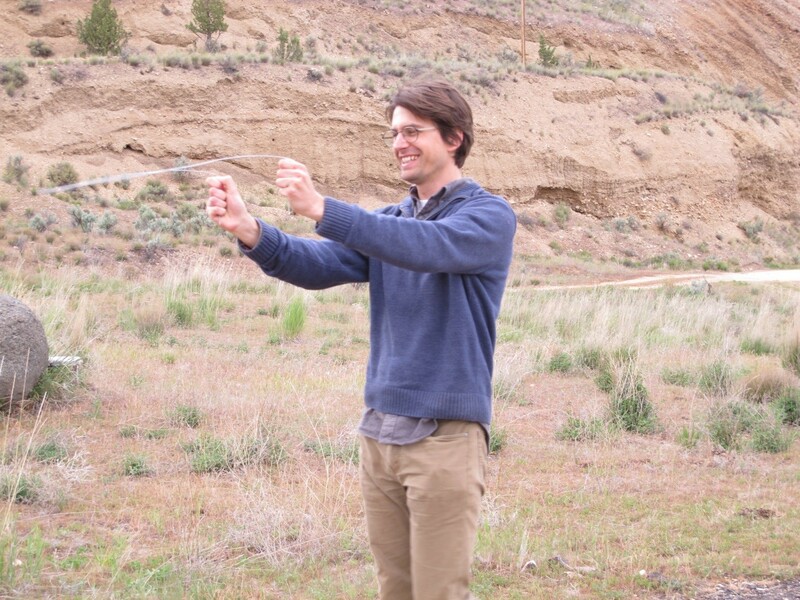 In the spring of this year, folklorists Douglas Manger from Texas, and Joseph O’Connell from North Carolina, took to the highways and byways of Eastern Oregon to carry out OFN’s third year of our multi-year statewide folklife survey. Thanks to funding from the National Endowment for the Arts and the Oregon Historical Society, Douglas and Joe visited the Eastern Oregon counties of Union, Wallowa, Baker, Grant, Wheeler, Crook and Deschutes. Through this fieldwork, the OFN identifies and documents traditional artists who might later apply for our Traditional Arts Apprenticeship Program or be recommended for the Oregon Culture Keepers Roster. Douglas Manger has been working as a folklorist for twenty years. Early in his career, Manger served as director of the Northern Tier Cultural Alliance in Pennsylvania, where he documented folk artists and curated exhibits and other programs. Manger later managed the folk and traditional arts program at the Mid Atlantic Arts Foundation in Baltimore overseeing initiatives across nine states and jurisdictions. At Mid Atlantic, Manger project managed the award-winning publication, From Bridge to Boardwalk: An Audio Journey Across Maryland’s Eastern Shore. 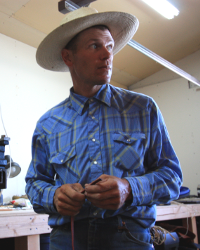 In 2007, Manger returned to his home state of Texas and founded HeritageWorks, which has been responsible for multi-year regional folklife field surveys in South and East Texas for the Institute of Texan Cultures in San Antonio, in Baton Rouge and vicinity for the Louisiana Folklife Program, in Eastern Oregon (Malheur and Harney counties in 2014; Deschutes, Crook, Baker, and Union counties, spring 2016) and the Portland Metro (fall 2016) for the Oregon Folklife Network.